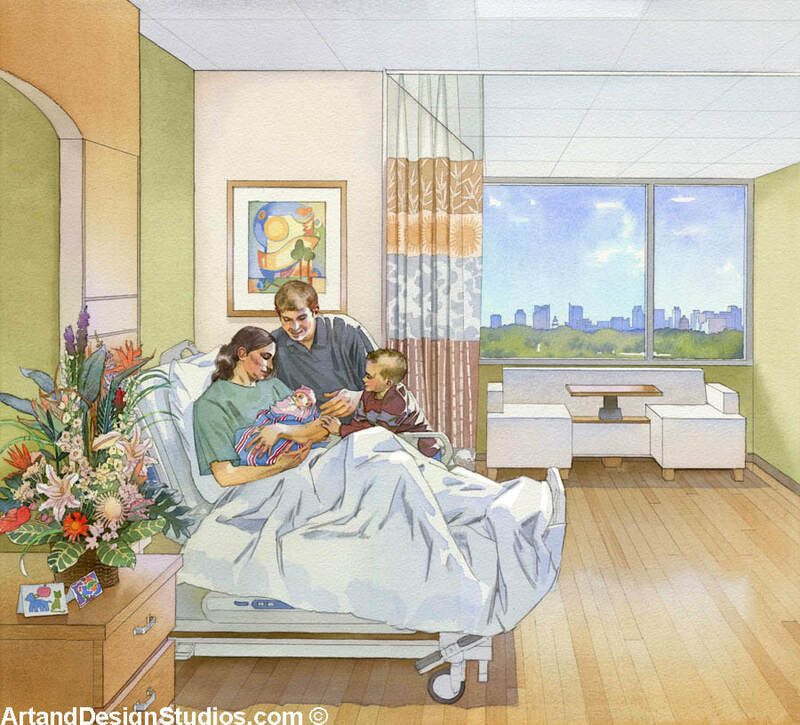 We specialize in creating uniquely warm, humanistic images. 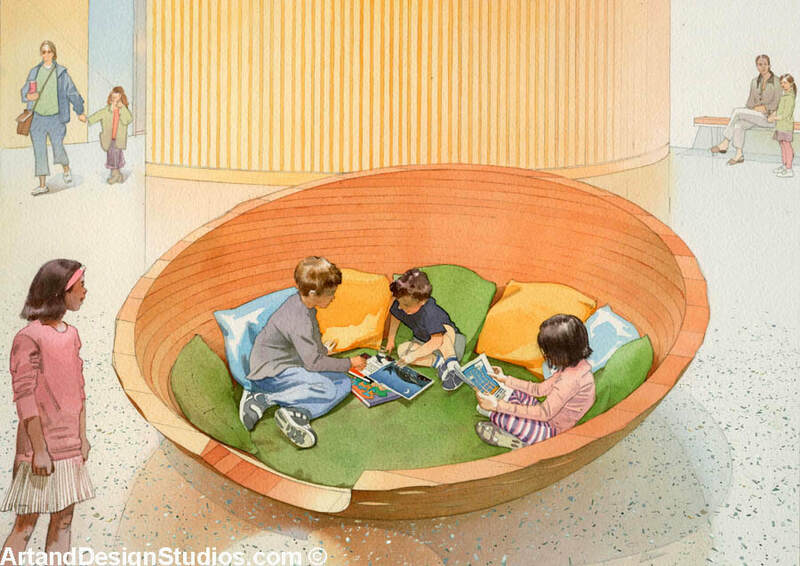 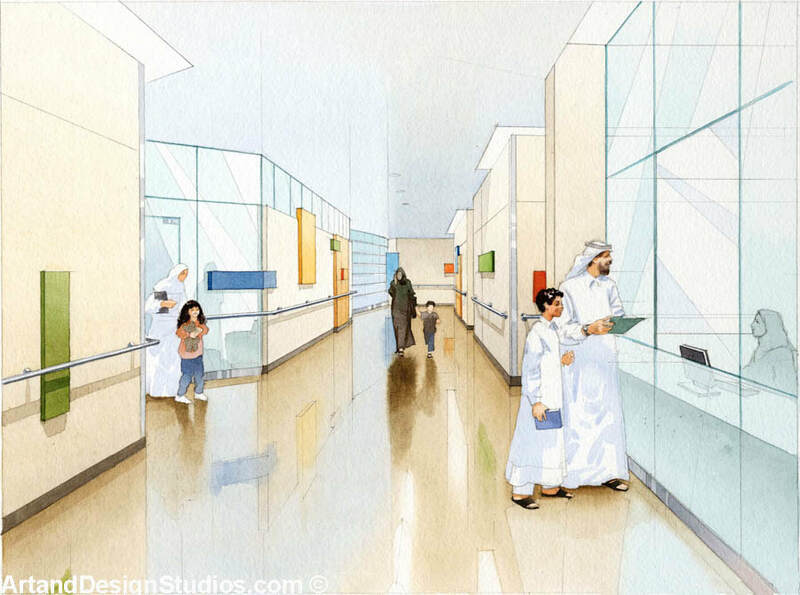 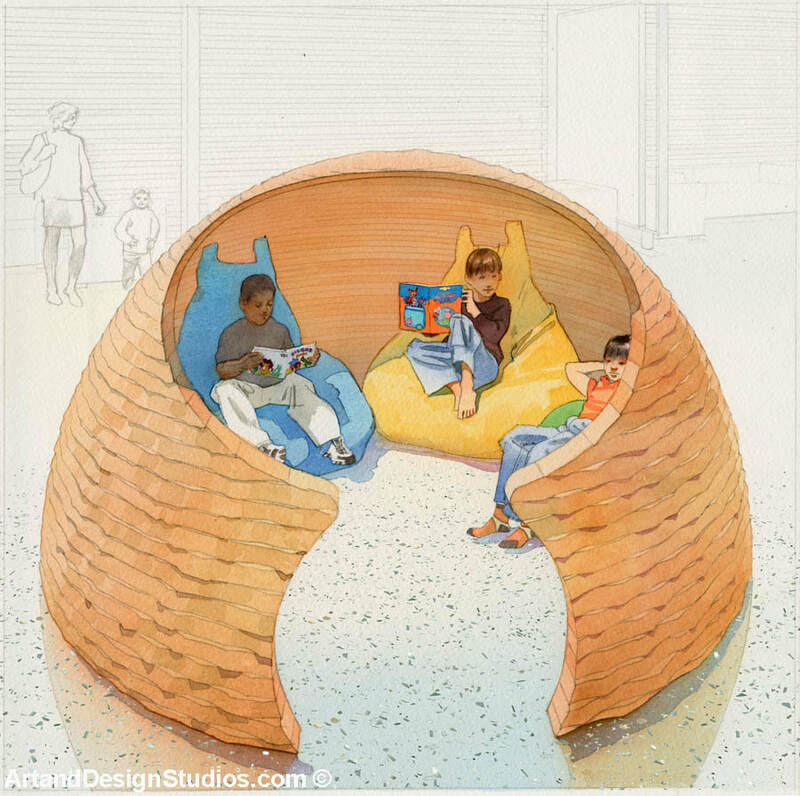 Our skill of drawing people brings in focus the human component of healthcare spaces. 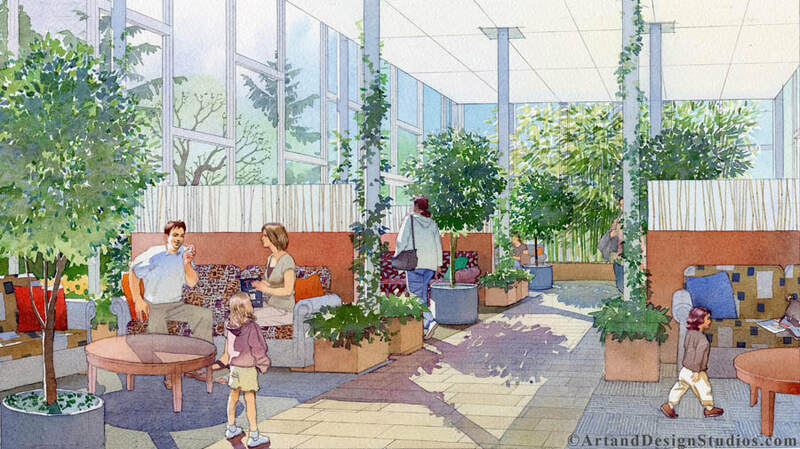 We produce pictures that help architects and designers capture the hearts and minds of their audience, generate excitement about the project, and assist the owners in effectively raising the funds. 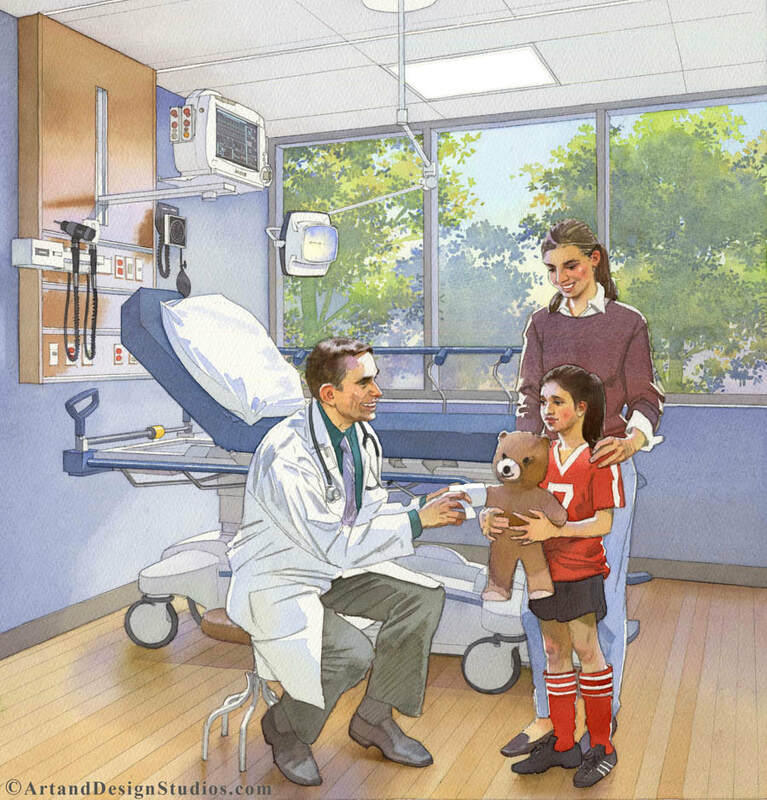 We are inviting you to browse the pages of our healthcare portfolio, and see for yourself. 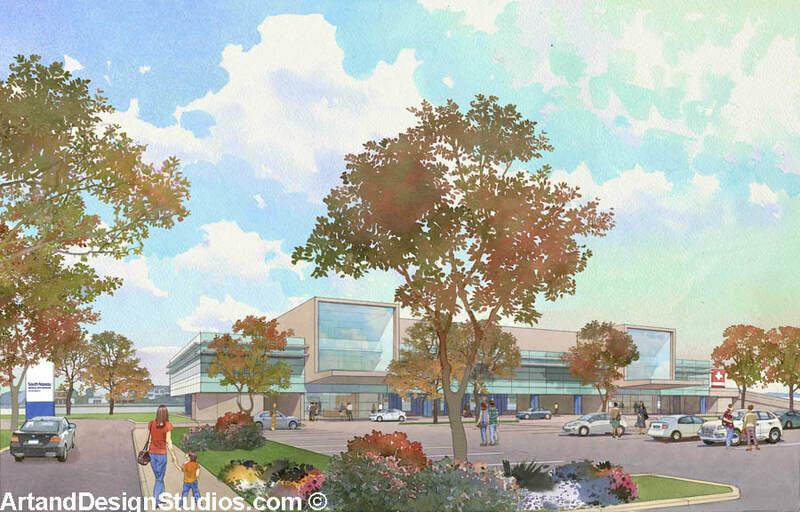 Architectural rendering of Sutter Medical Center. 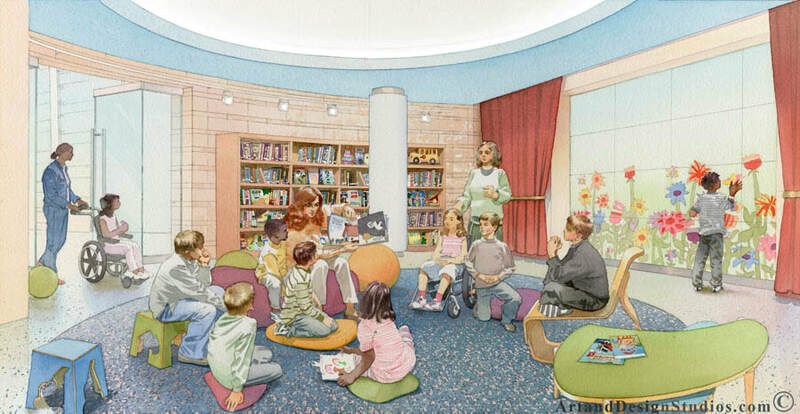 Sacramento, CA. 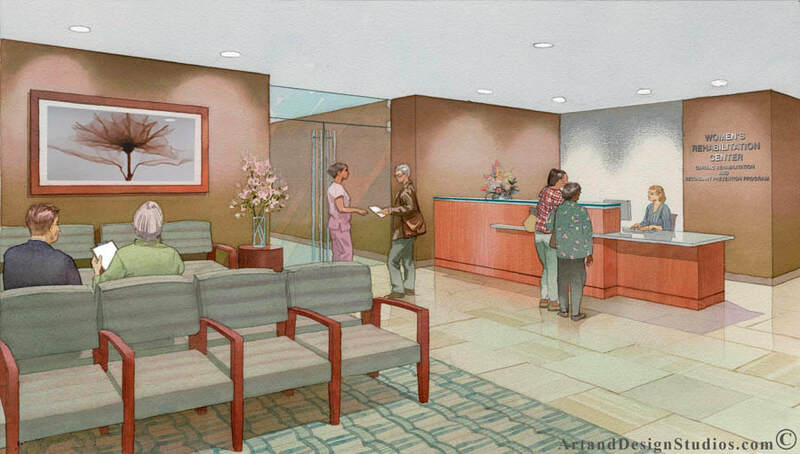 Rendering of a hospital lobby. 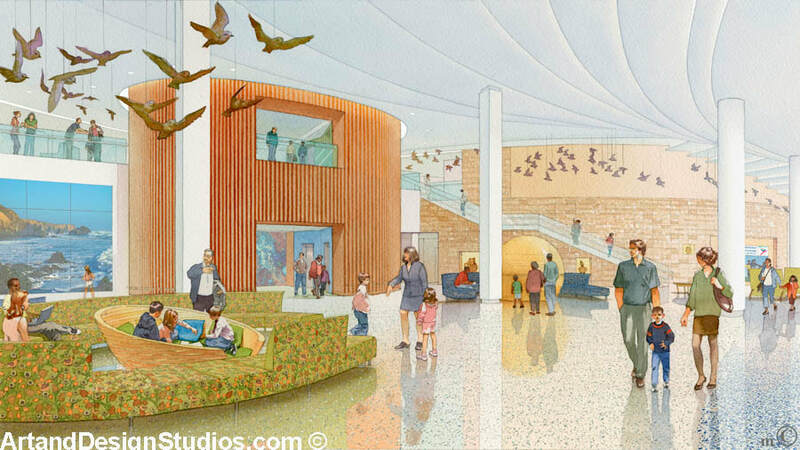 Lucile Packard Children's Hospital in Palo Alto. 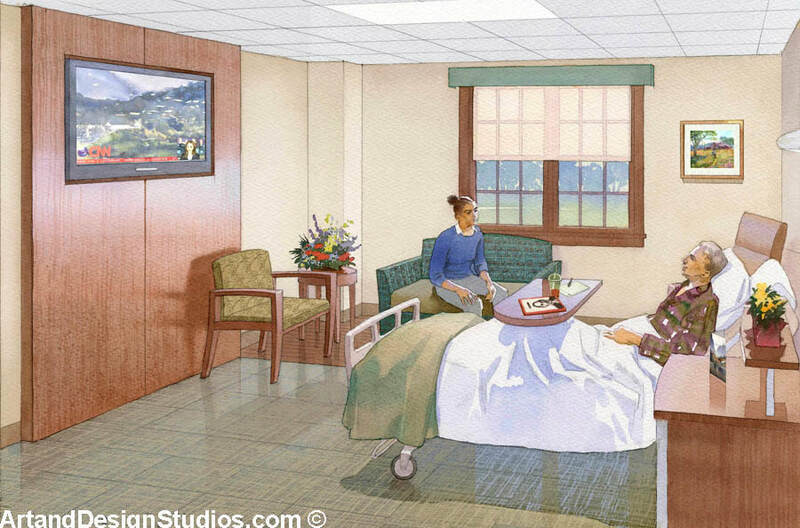 Watercolor illustration of patient room. 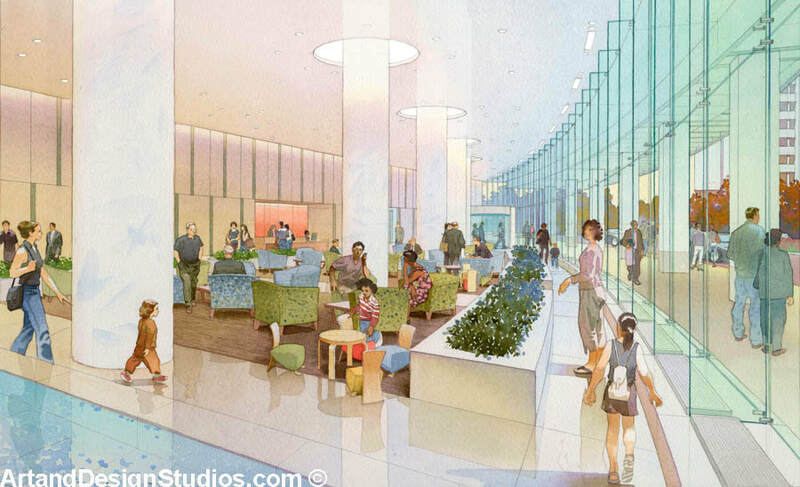 Sutter Medical Center. 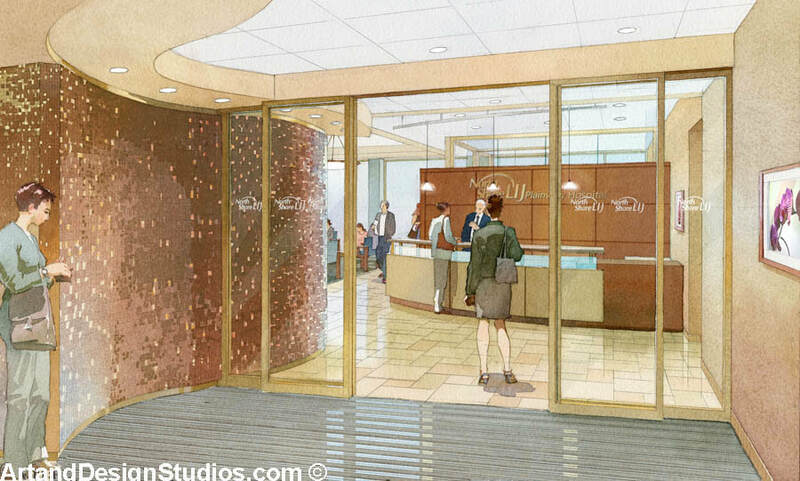 Rendering of a lobby. 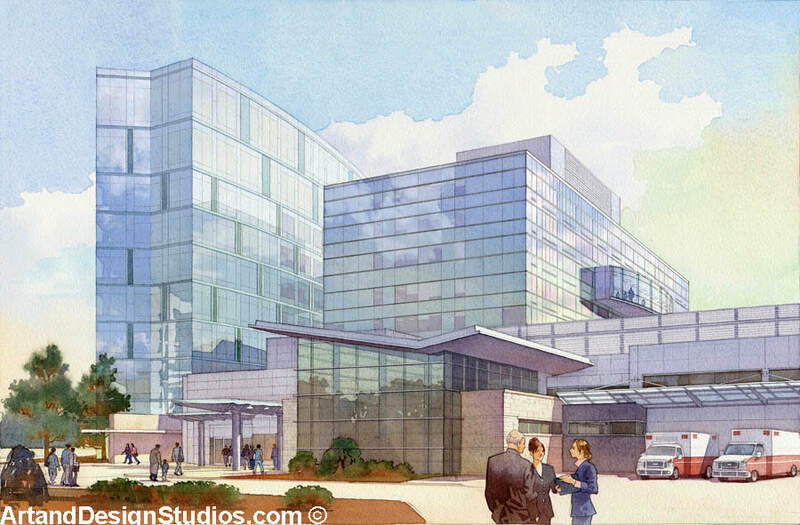 North Shore University Hospital. 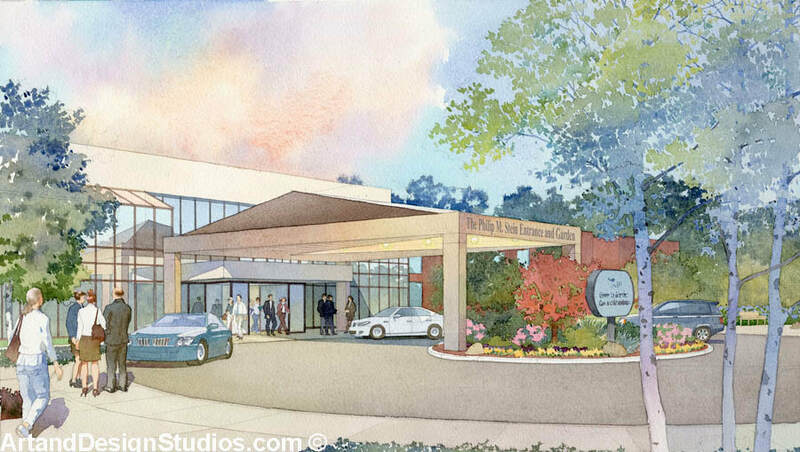 Rendering of hospital. 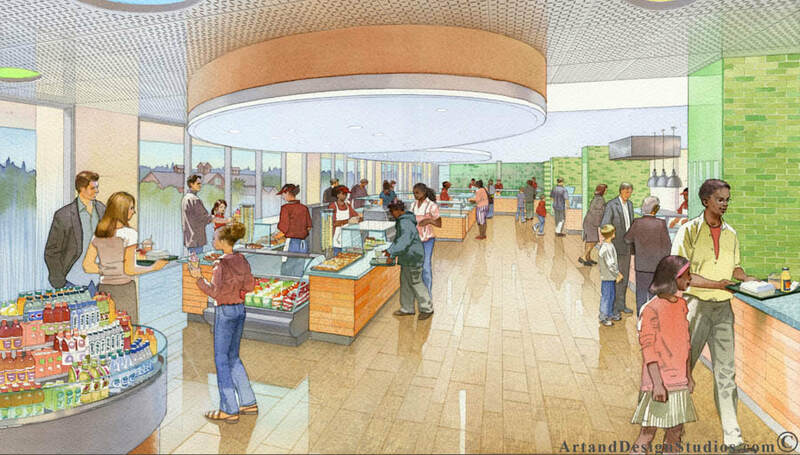 Lucile Packard Children's Hospital cafeteria. 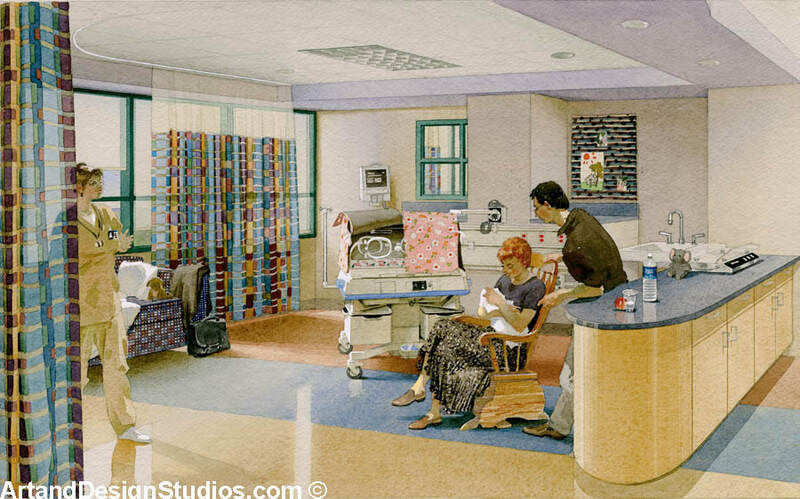 Rendering of a hospital patient room. 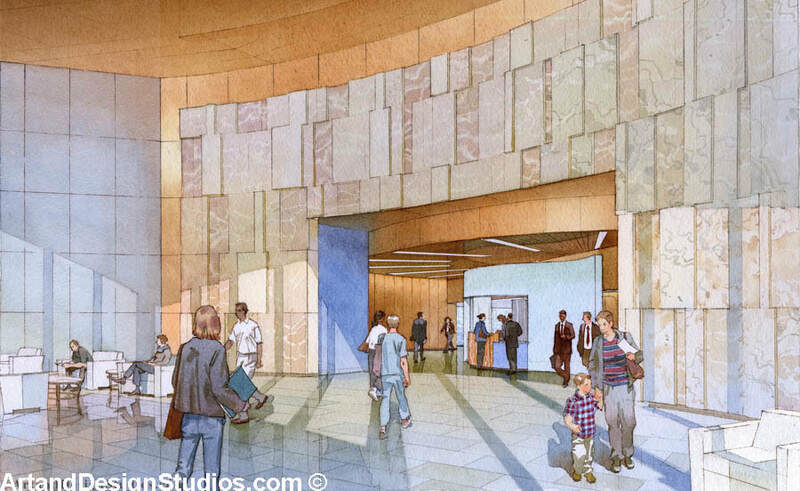 Sutter Medical Center in Sacramento. 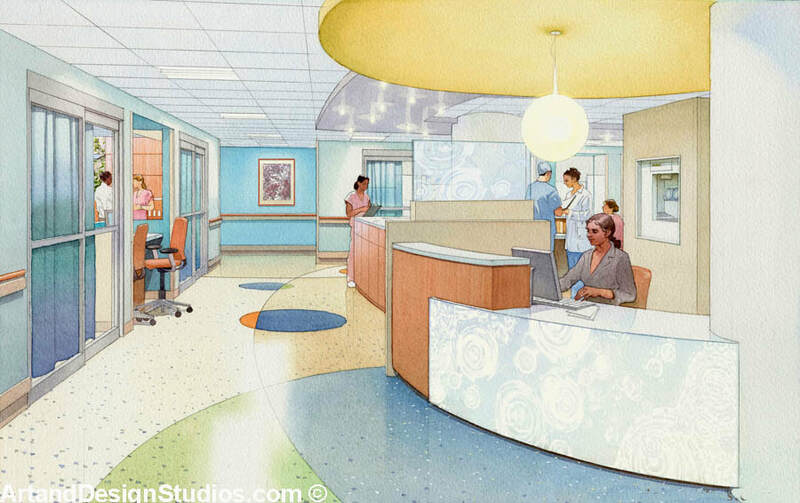 Rendering of a hospital lobby. 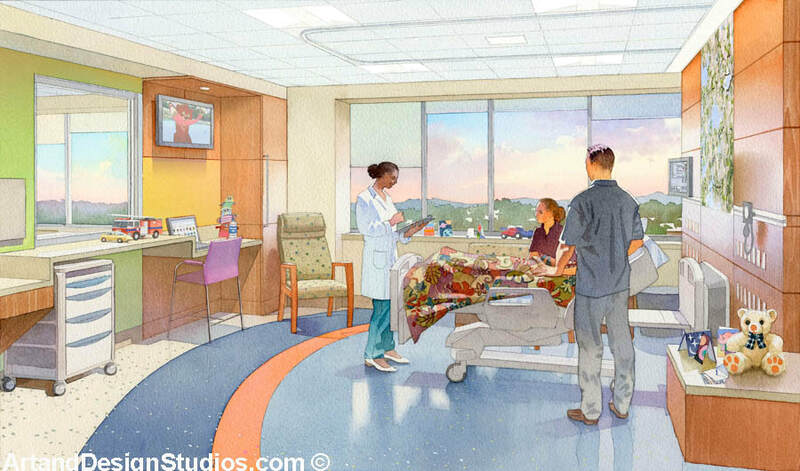 Northwell Health System. 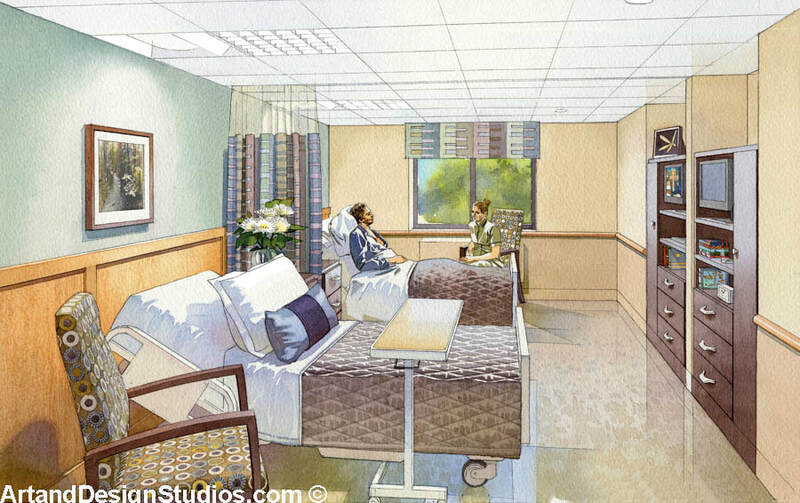 Rendering of a hospital patient room. 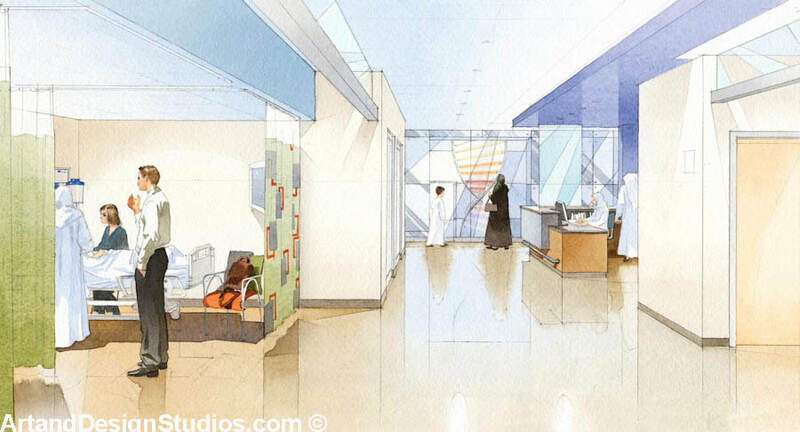 Northwell Health System. 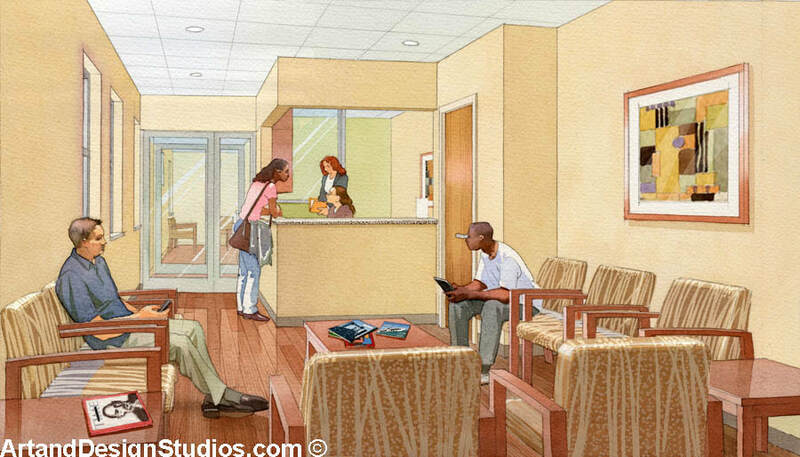 Rendering of hospital waiting room. 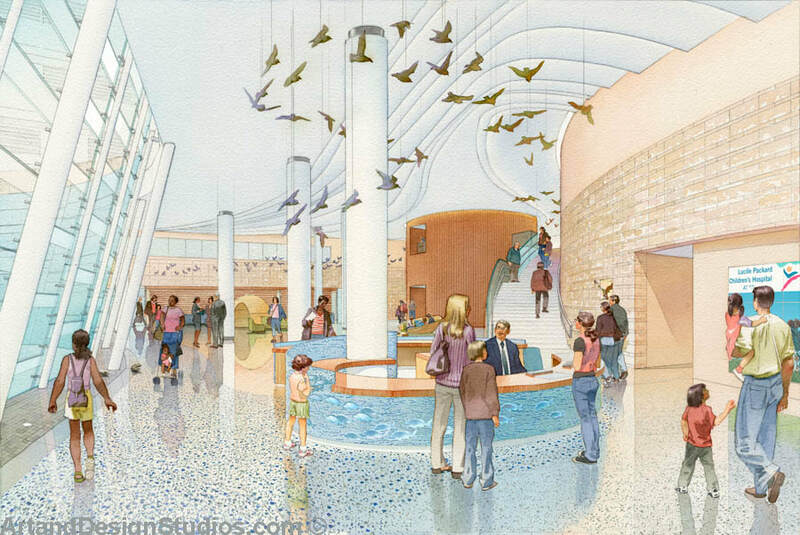 Lucile Packard Children's Hospital. 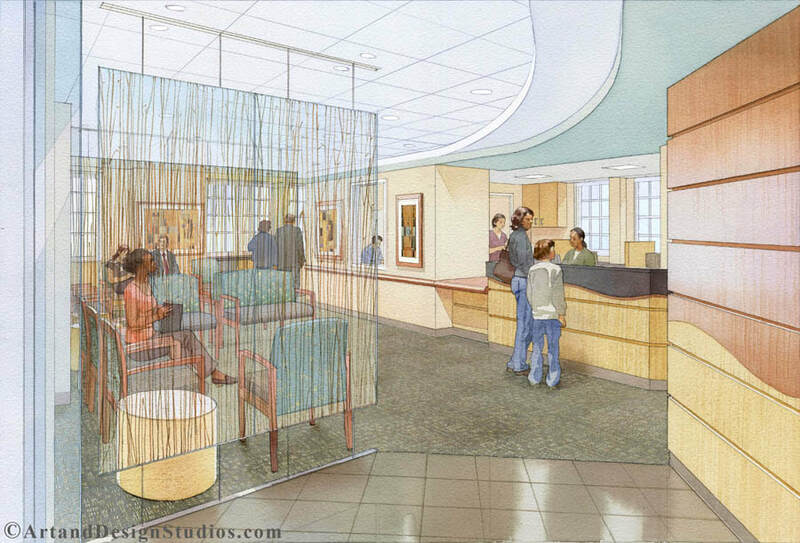 Rendering a hospital lobby. 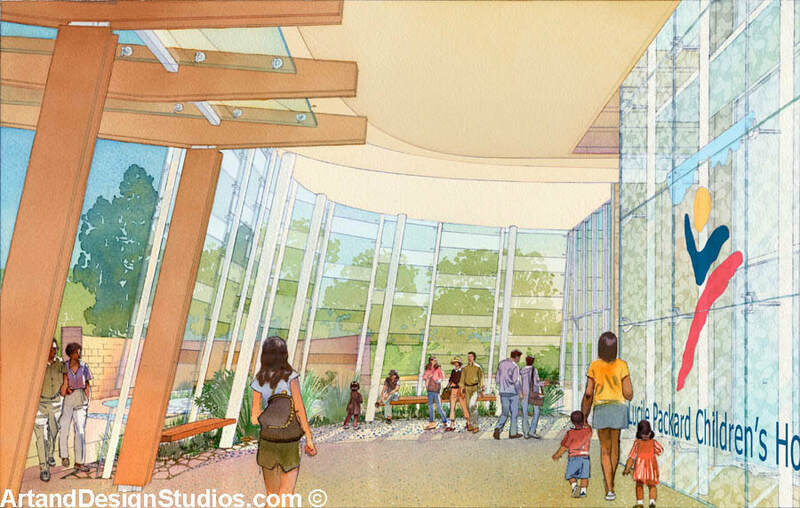 Lucile Packard Children's Hospital in Palo Alto. 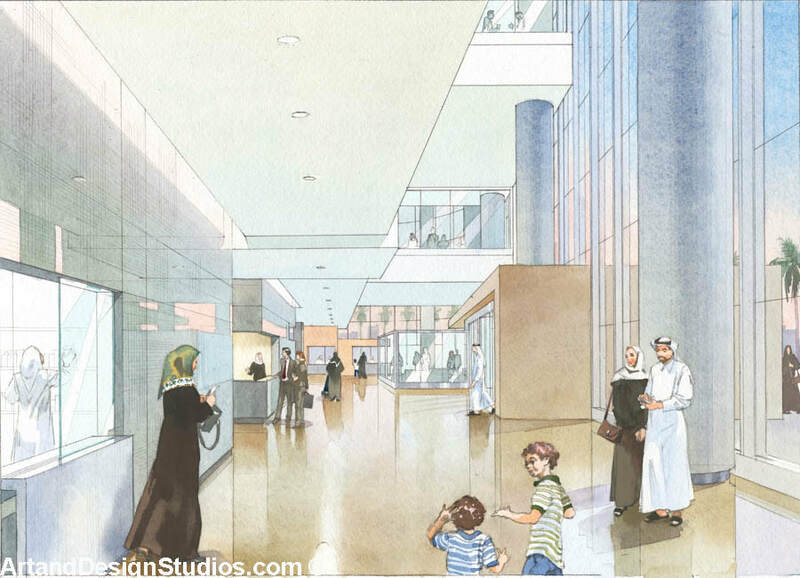 Rendering of a hospital. 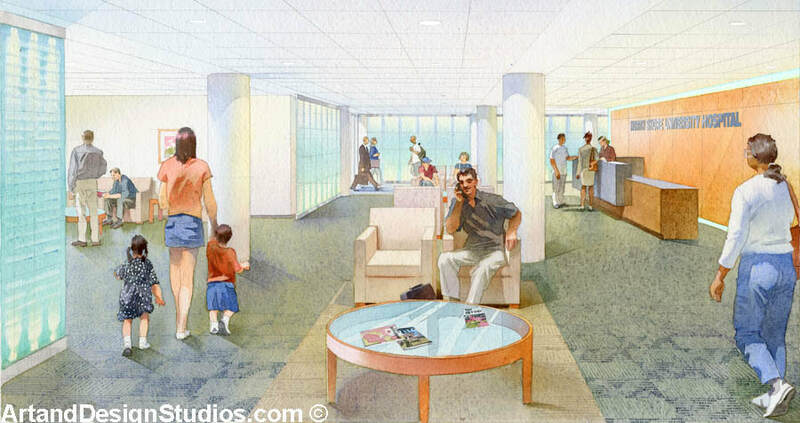 Long Beach Medical Arts Pavilion. 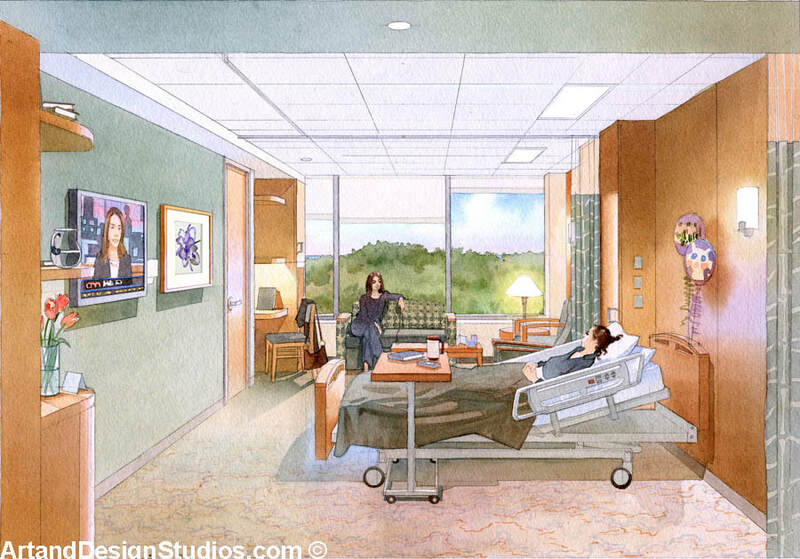 Rendering of patient room. 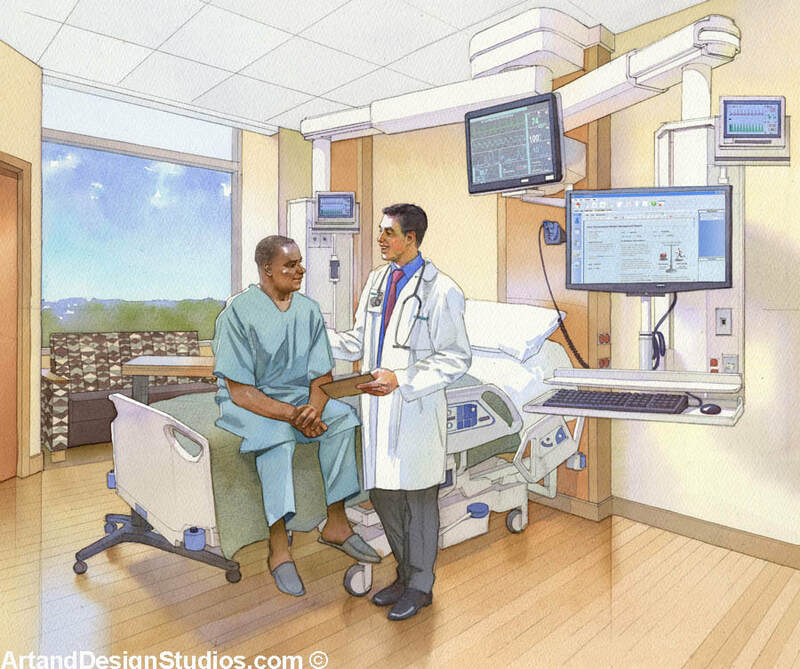 Northwell Health dialysis. 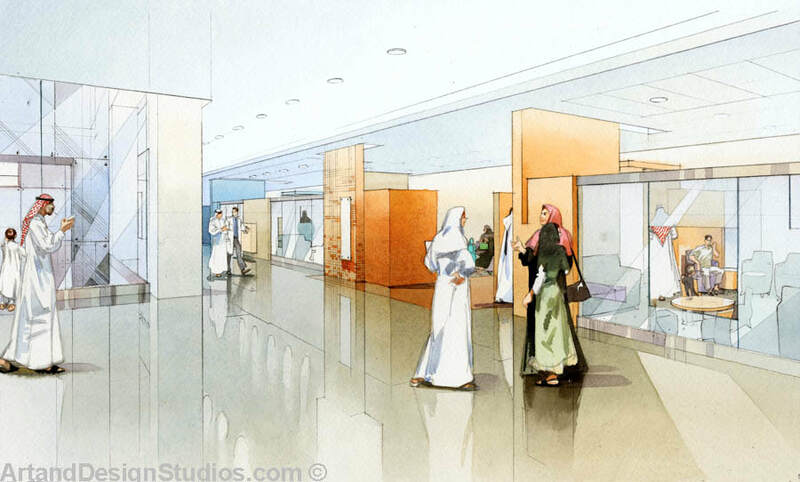 Rendering of a hospital. 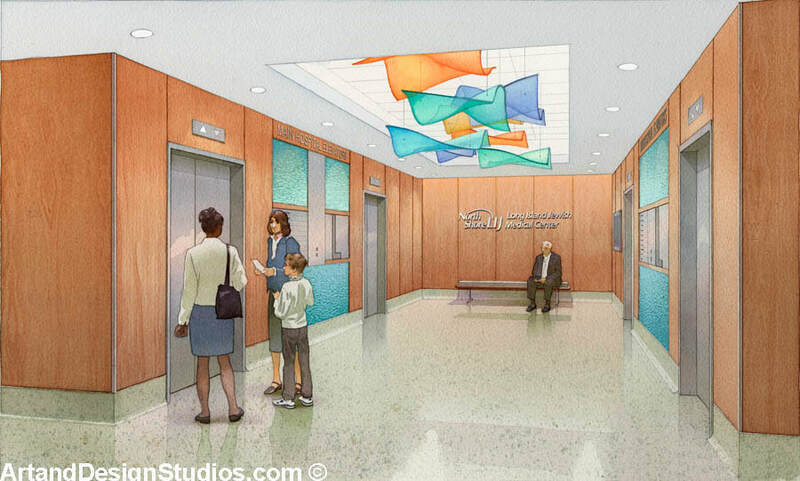 Northwell Health System. 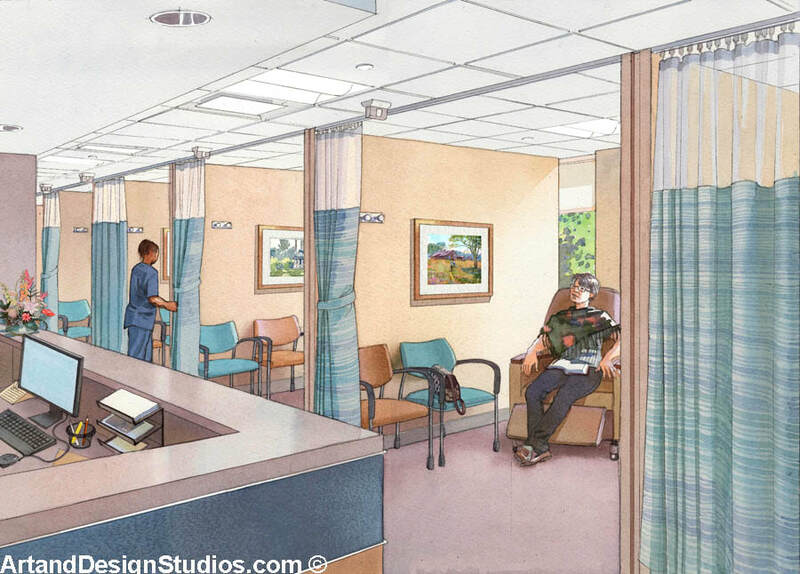 Rendering of a hospital waiting. 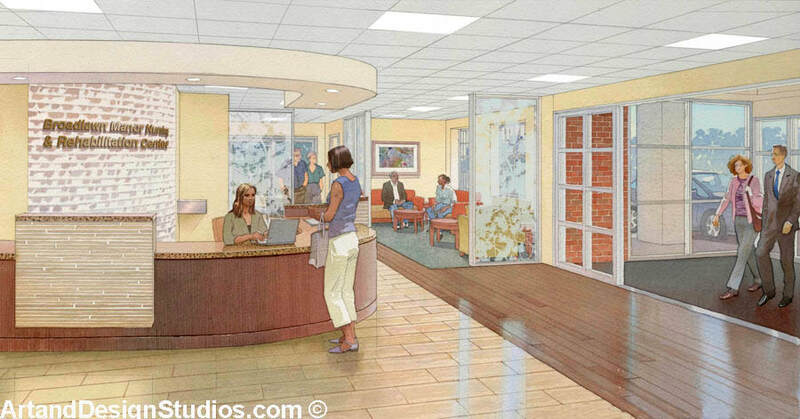 Rendering of a hospital. 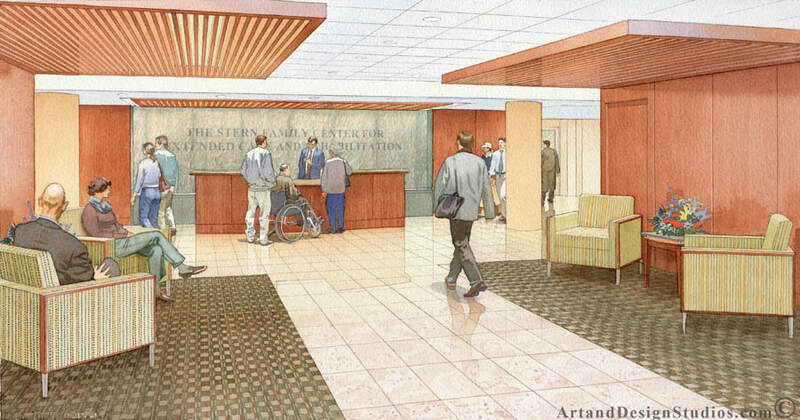 Northwell lobby. 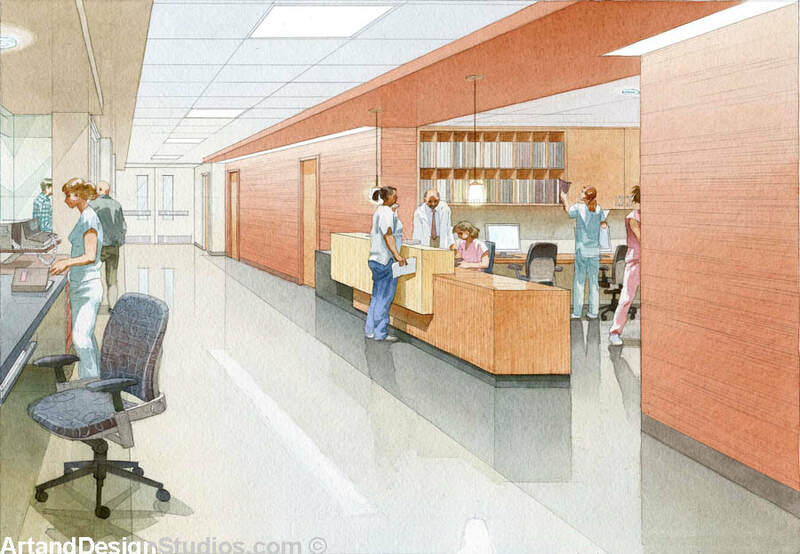 Rendering of a hospital. 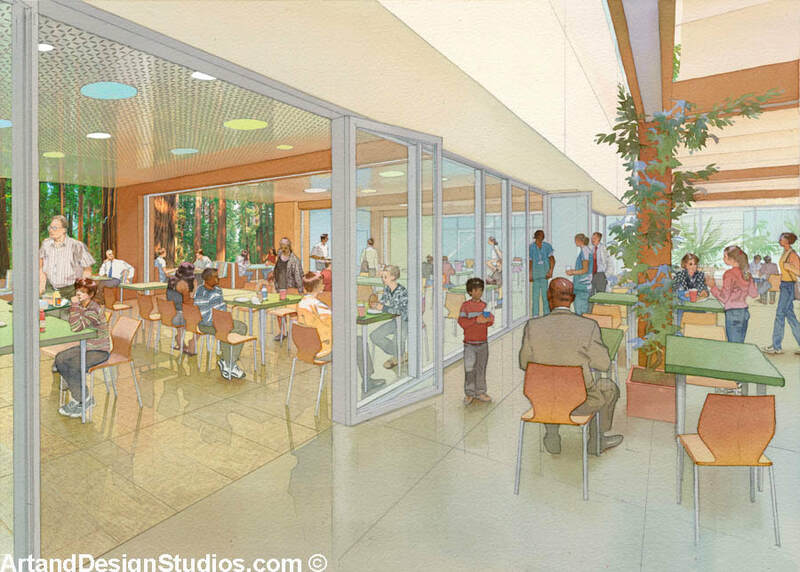 Lucile Packard Children's Hospital cafeteria. 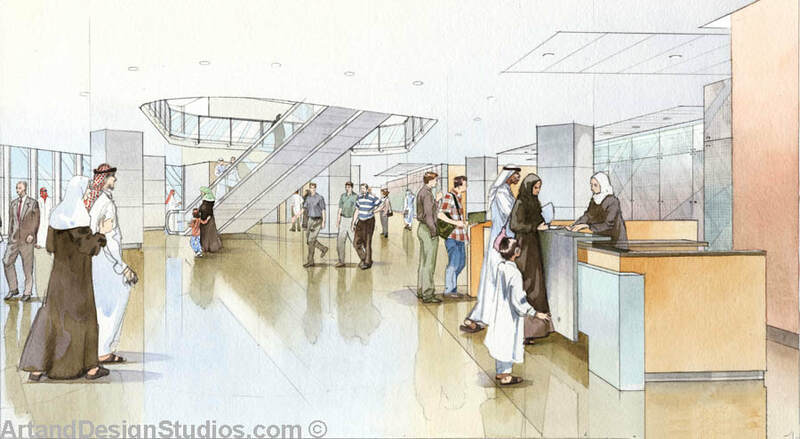 Rendering of a hospital. 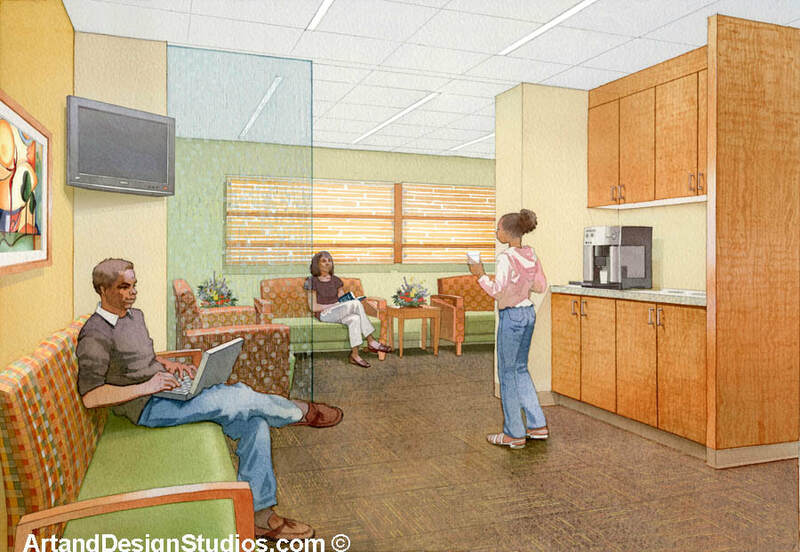 Northwell Health nursing station. 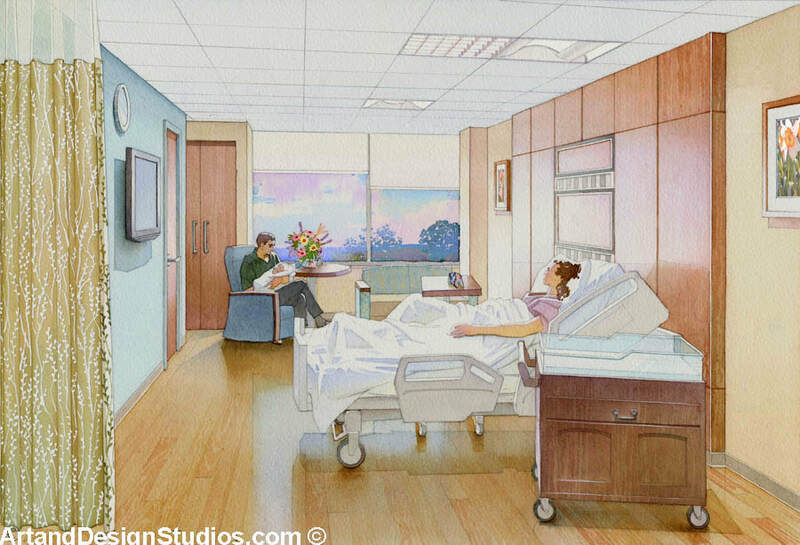 Rendering of a patient room. 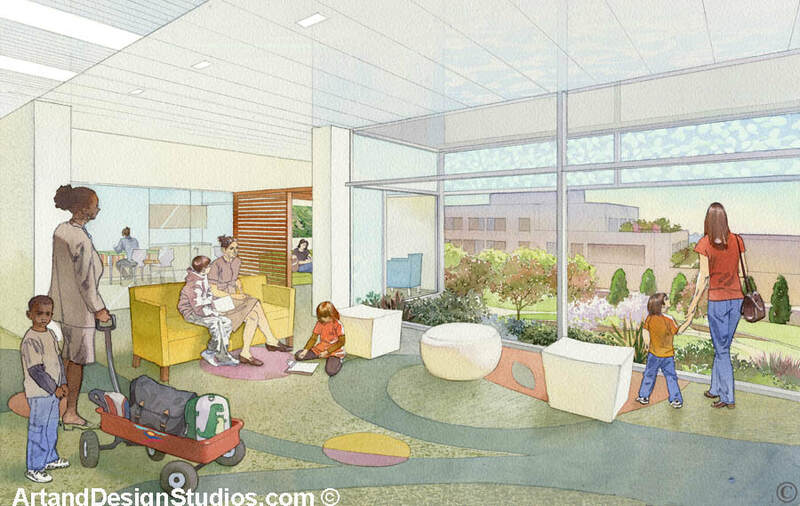 Cohen's Children's Medical Center. 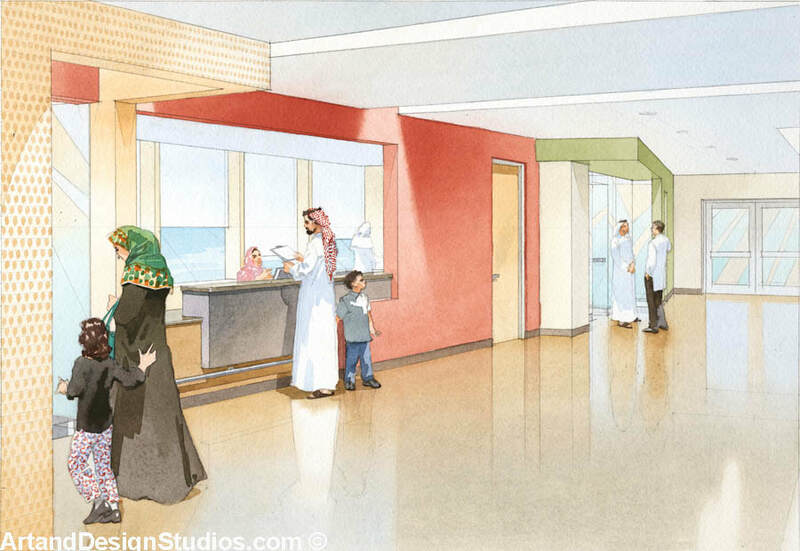 Rendering of a hospital. 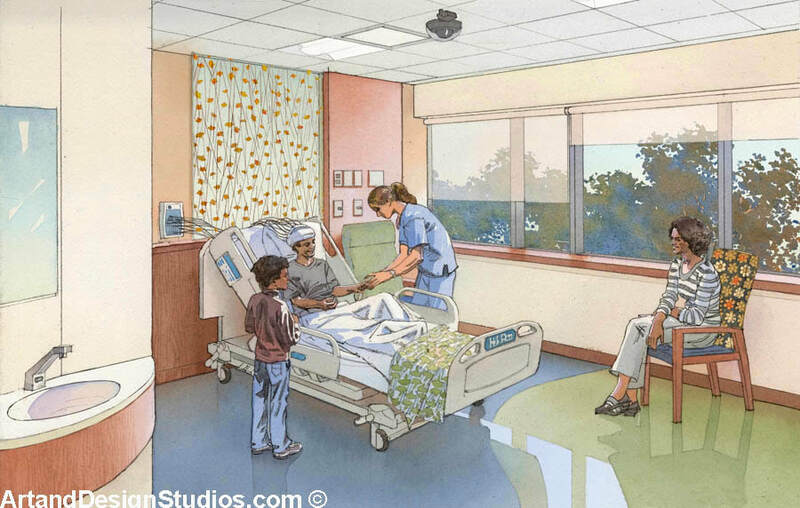 Northwell Health Sysytem. 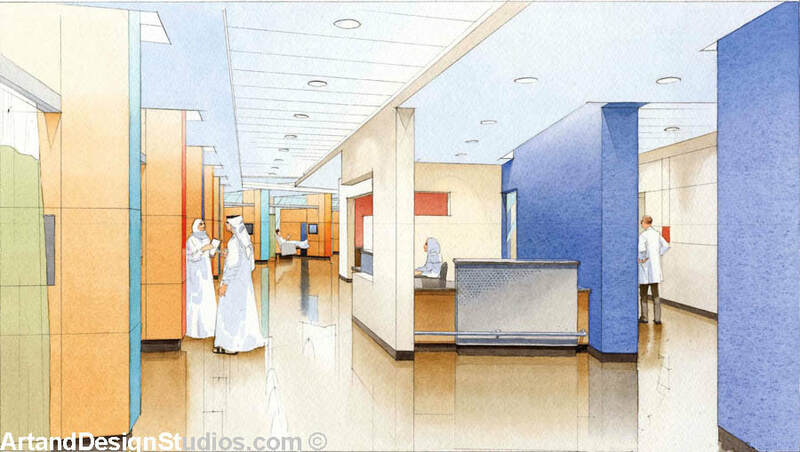 Watercolor rendering of a hospital. 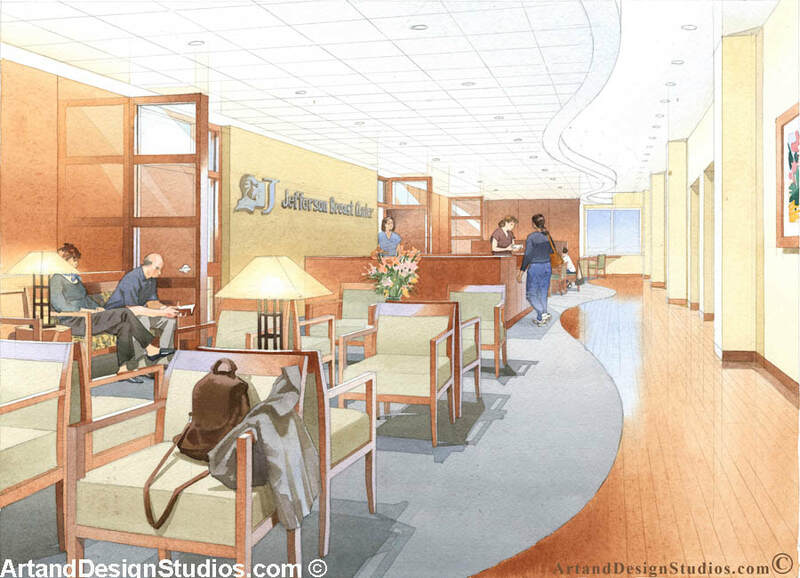 Stern Medical Center. 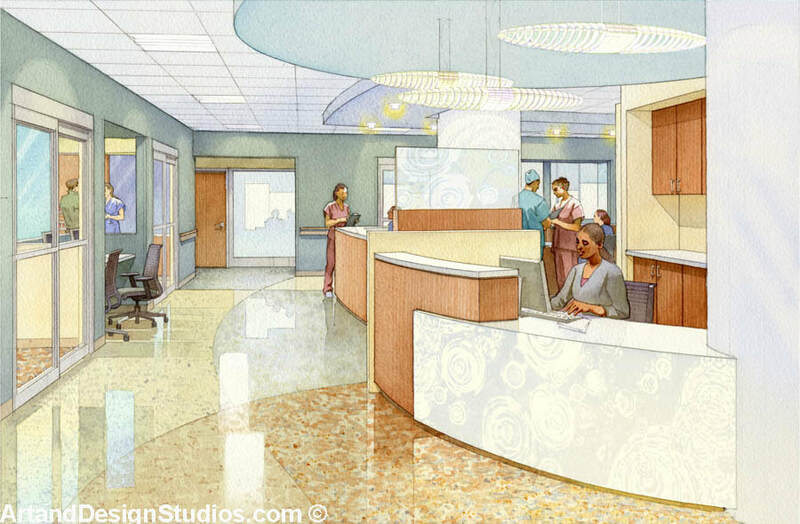 Rendering of a hospital. 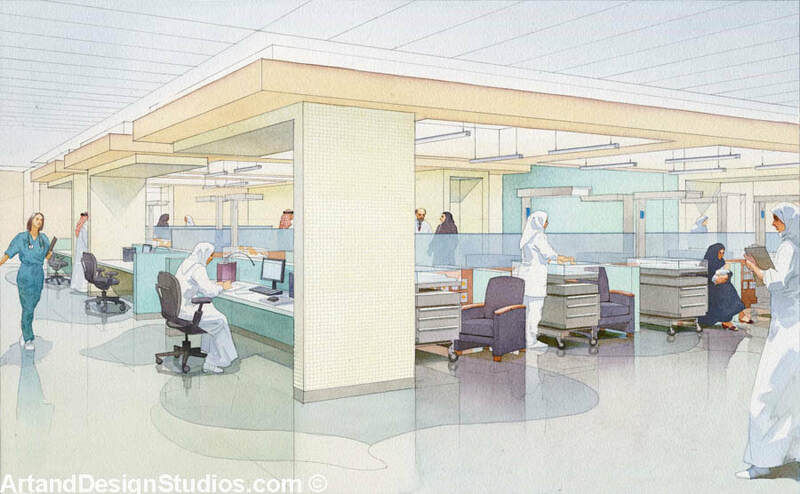 Northwell Health nurses station. 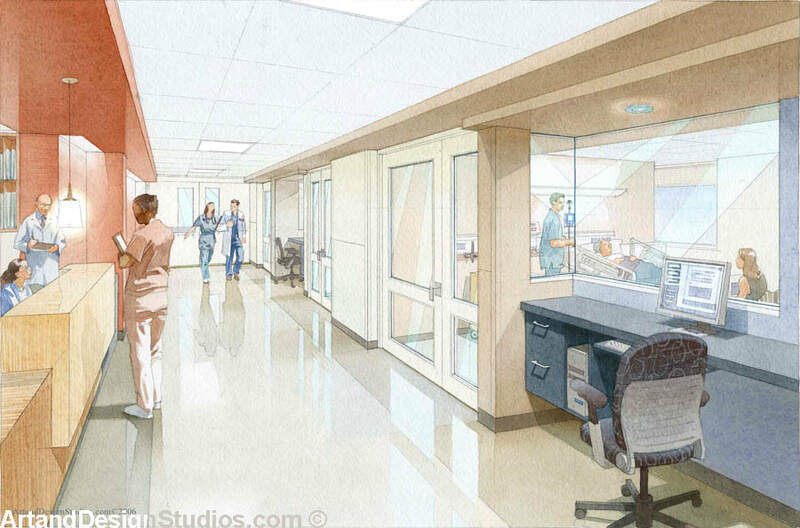 Rendering of a hospital. 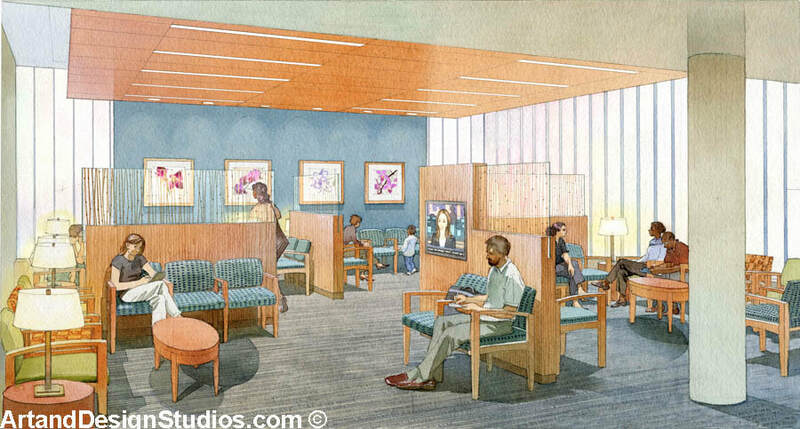 Northwell Health waiting. 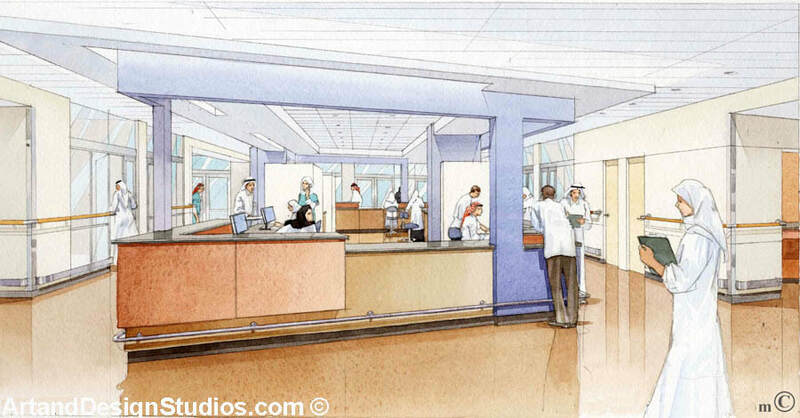 Rendering of a hospital. 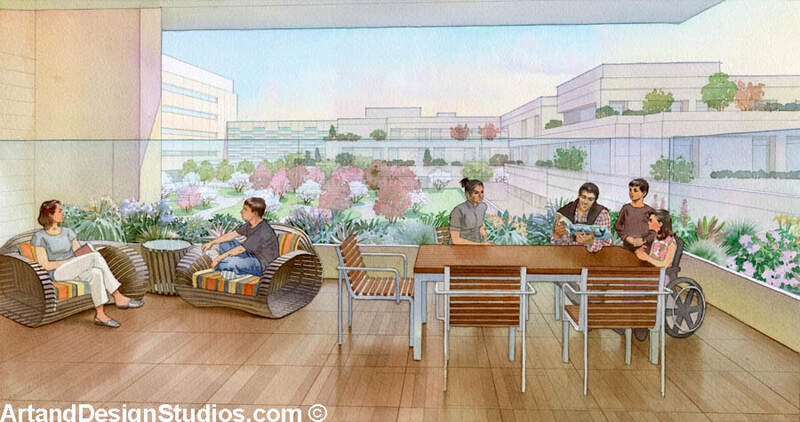 Lucile Packard Children's Hospital in Palo Alto. 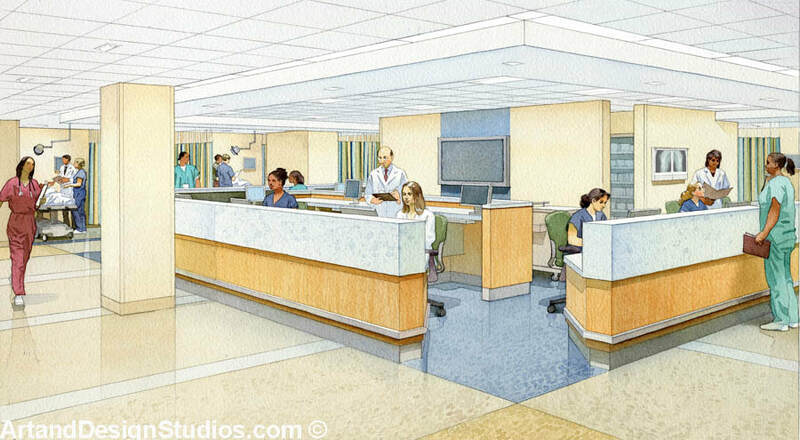 Rendering of a hospital. 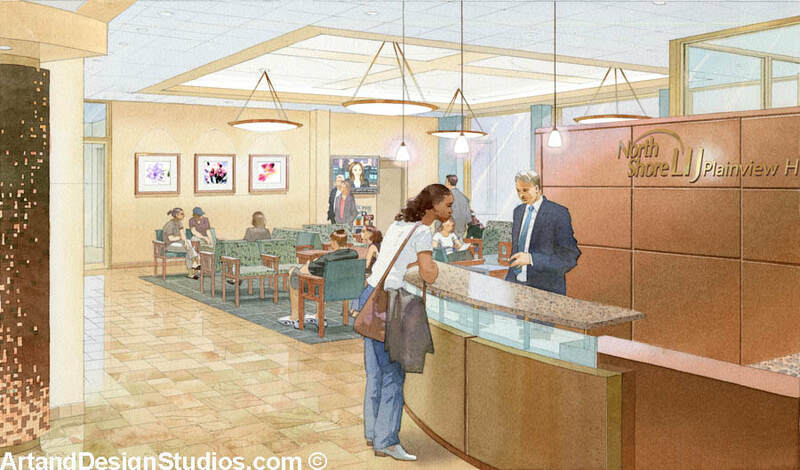 Jefferson University Hospital waiting room. 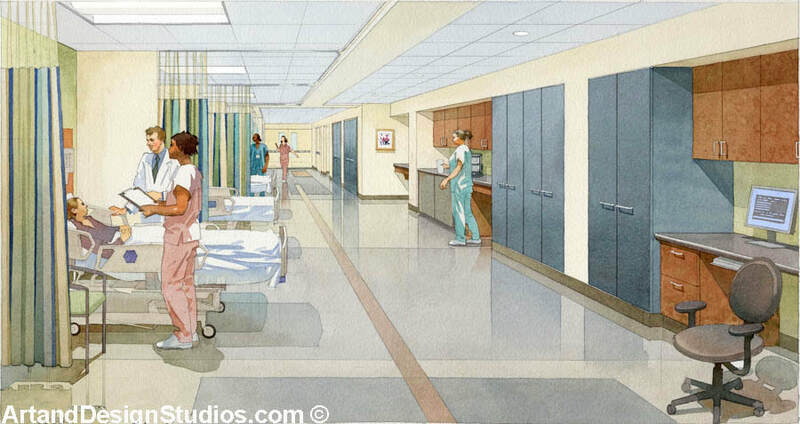 Rendering of a hospital. 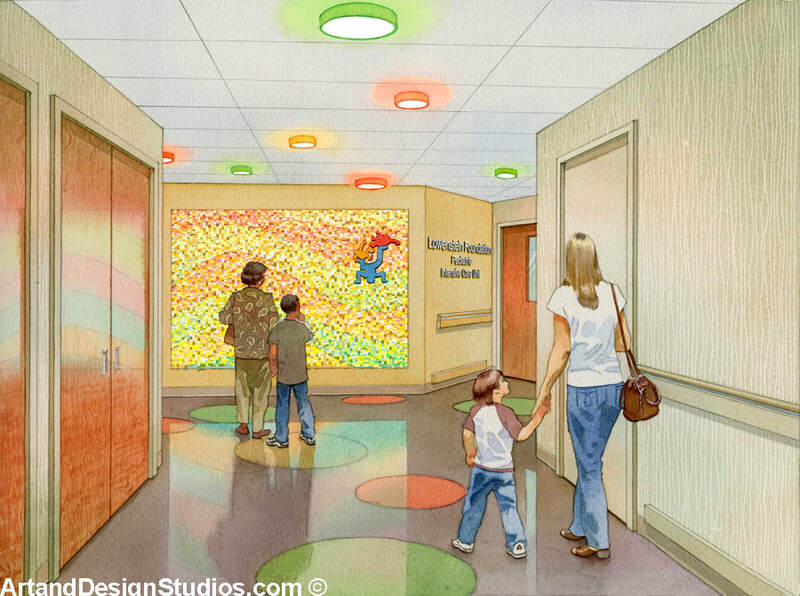 Children's Hospital. 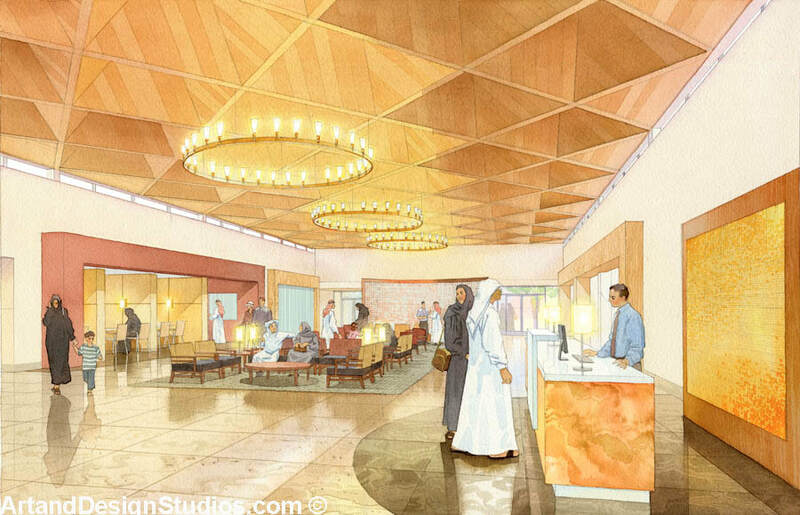 Doha, Qatar. 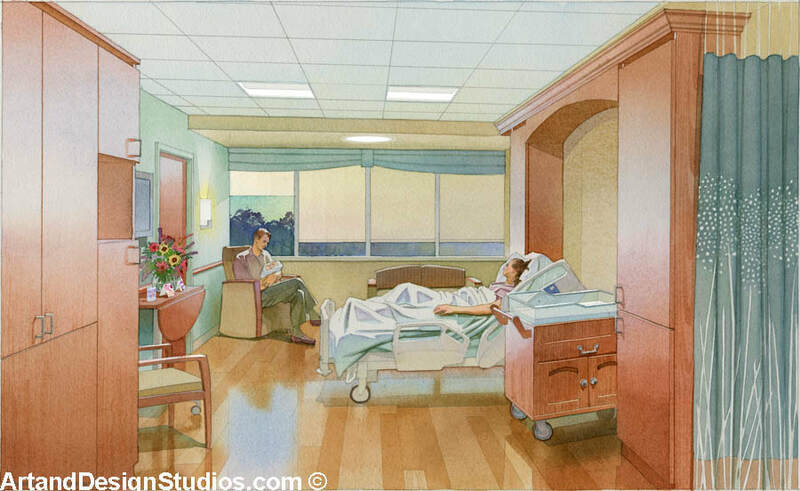 Rendering of a patient room. 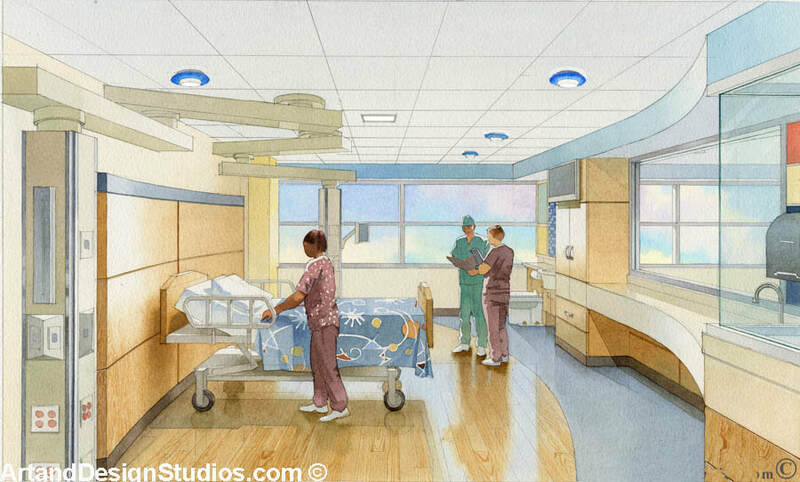 Northwell Health System. 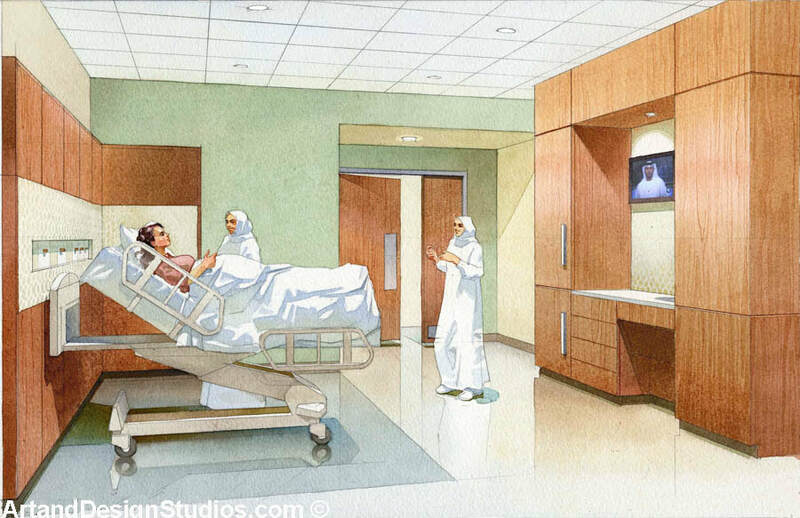 Rendering of a hospital. 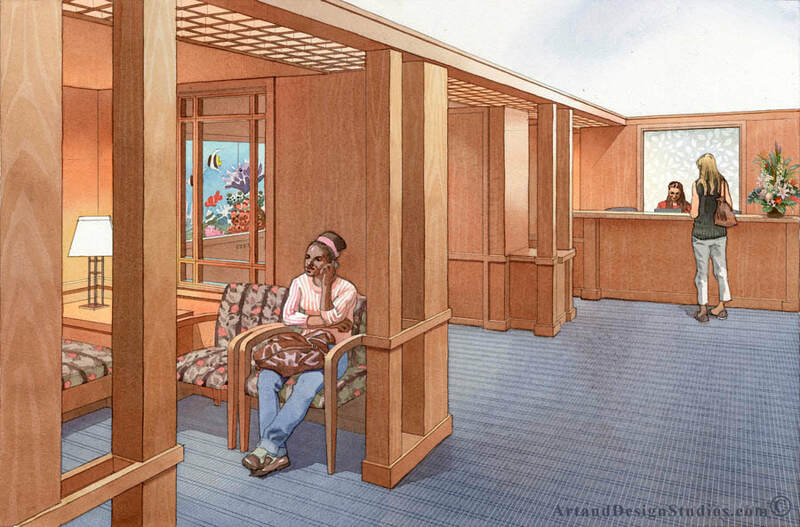 North Shore University Hospital waiting room. 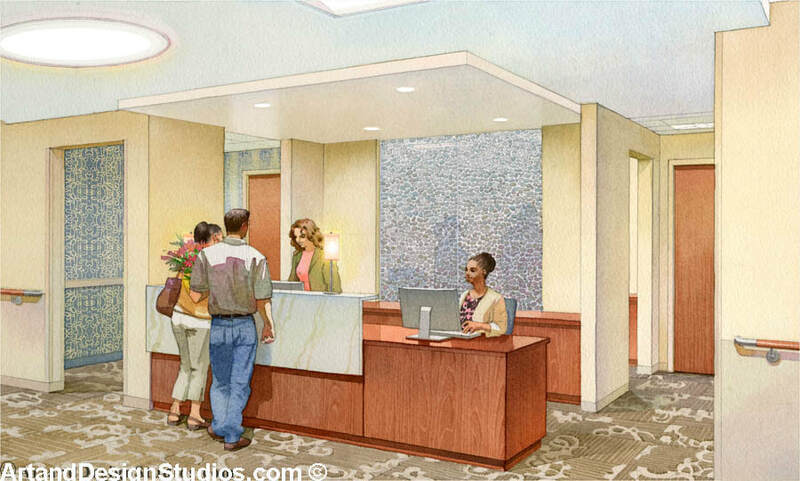 Rendering of a lobby. 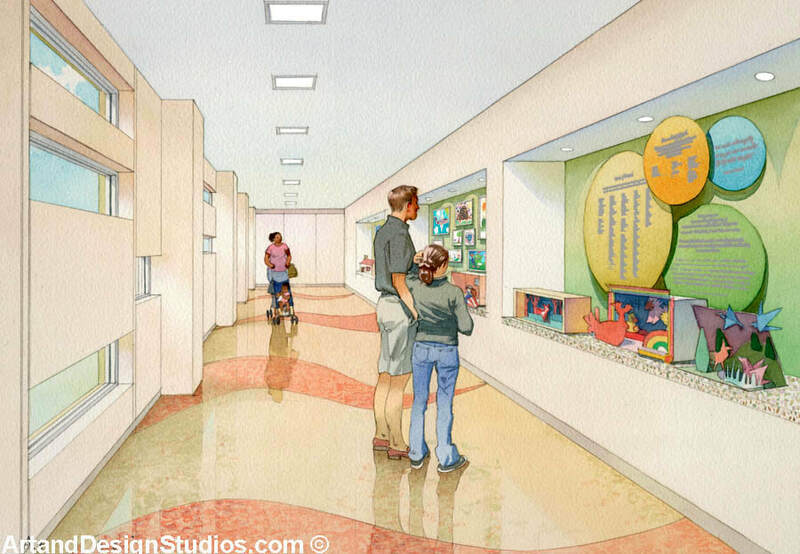 Stern Family Center in Manhasset. 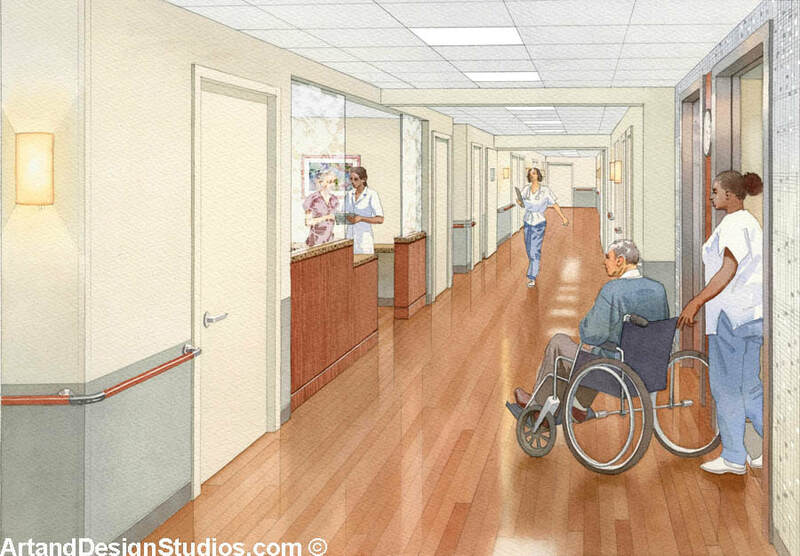 Rendering of a hospital. 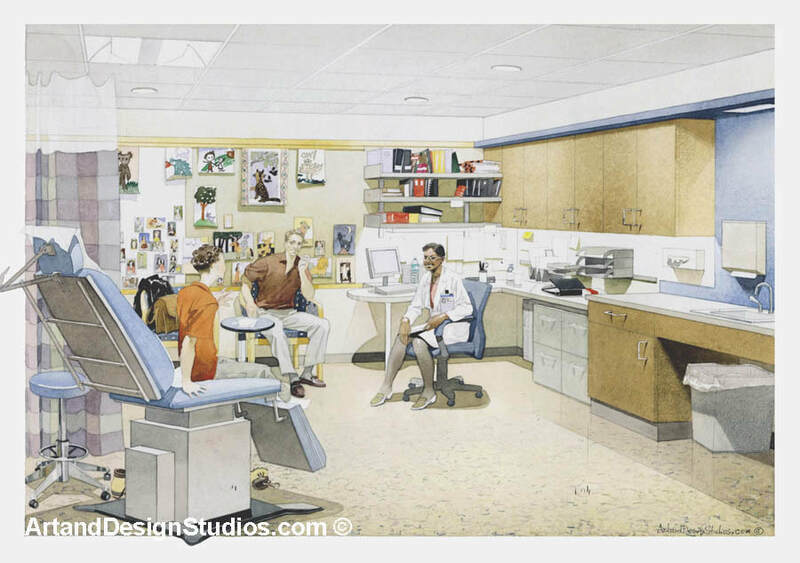 Nurses station. 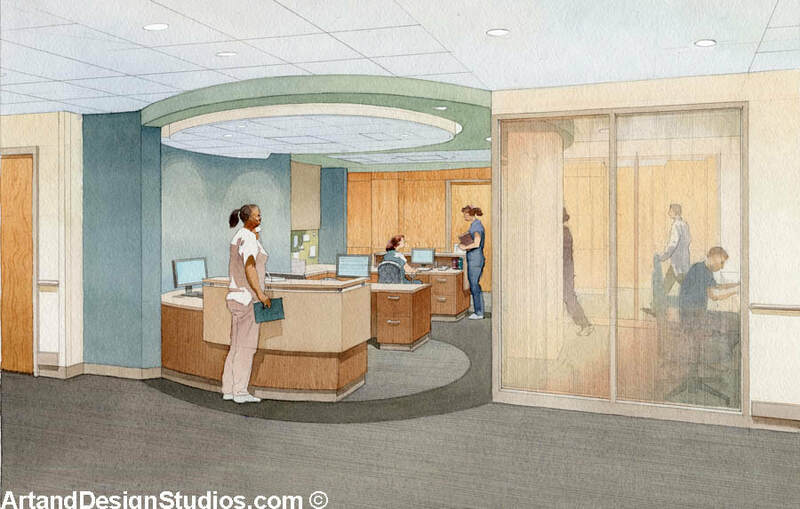 Rendering of a hospital. 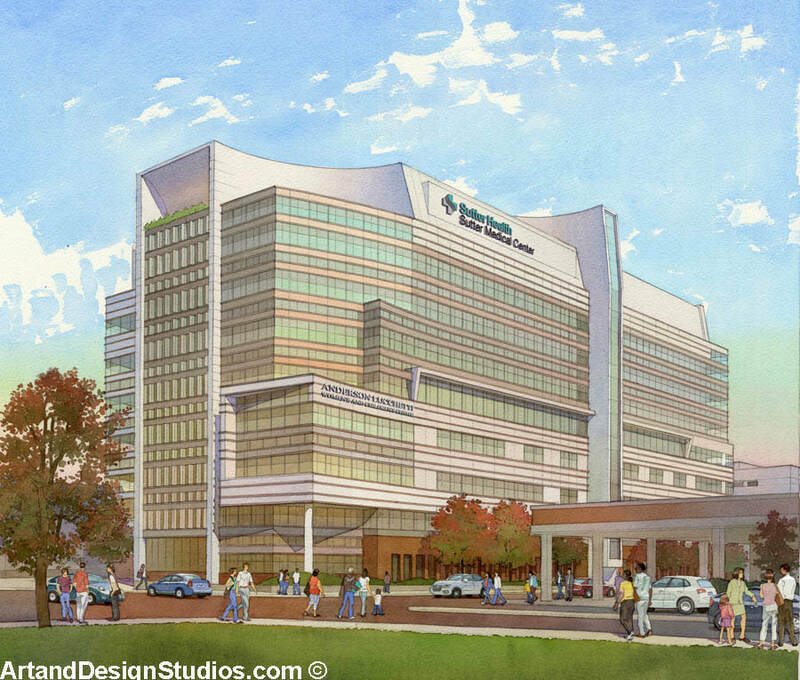 Saint Joseph's Regional Medical Center. 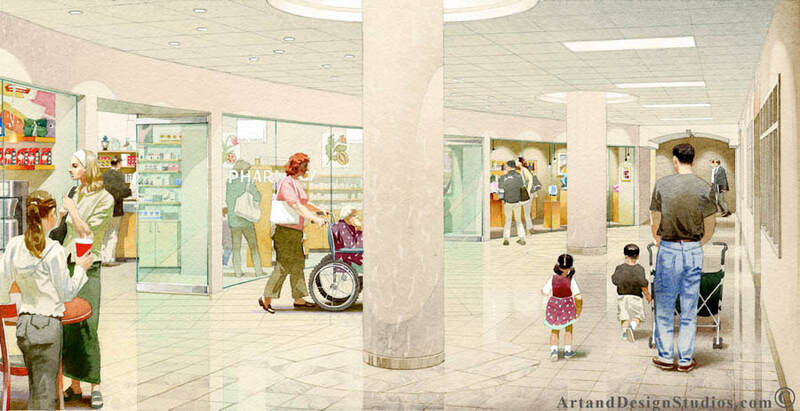 Rendering of Abessinio Family Center. 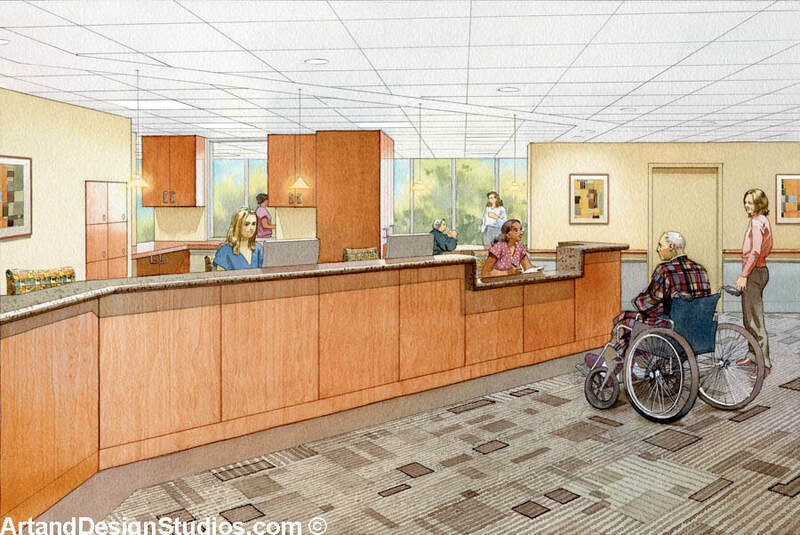 Christiana Care Health Sysytem. 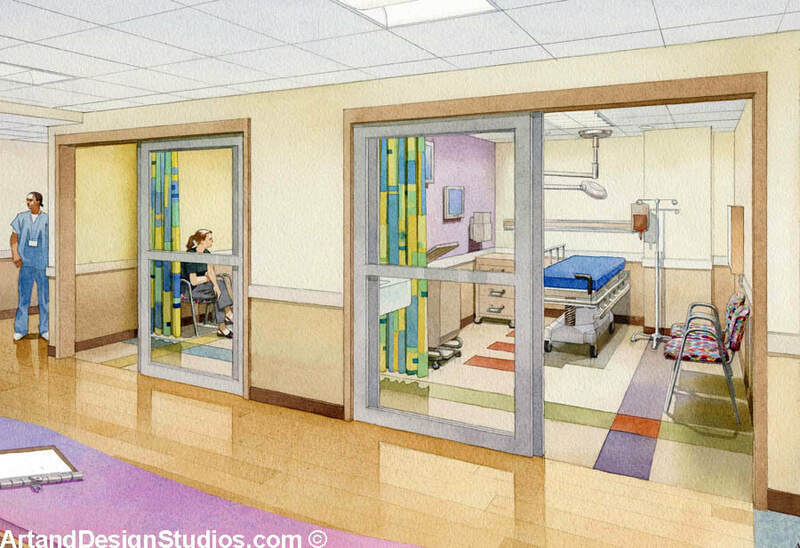 Rendering of a Hospital. 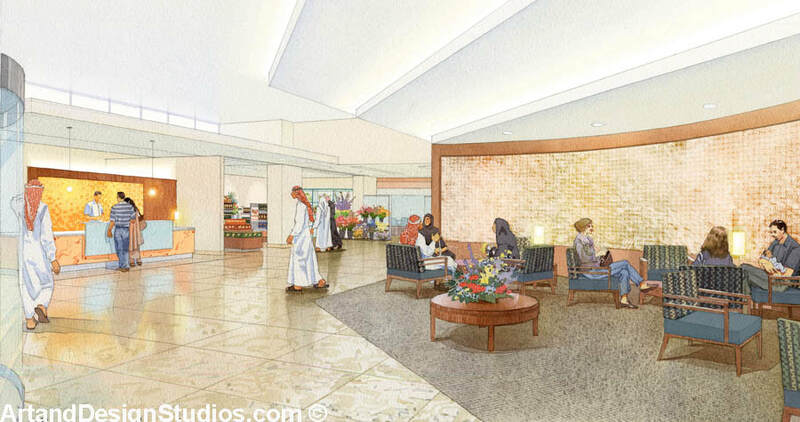 Weil Cornell Medical Center. 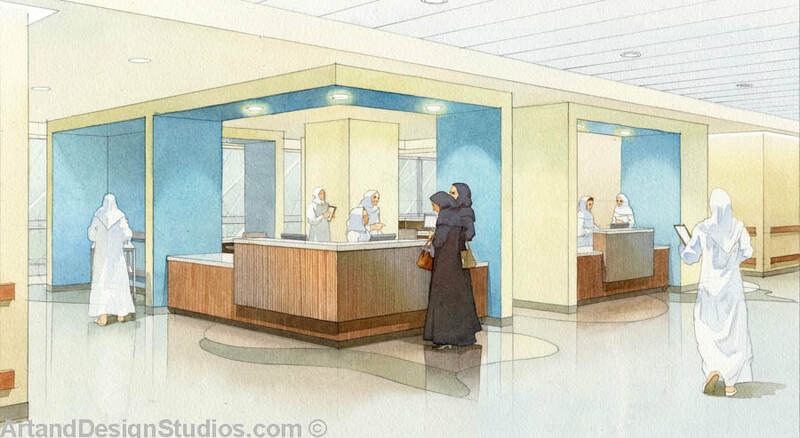 Rendering of a hospital. 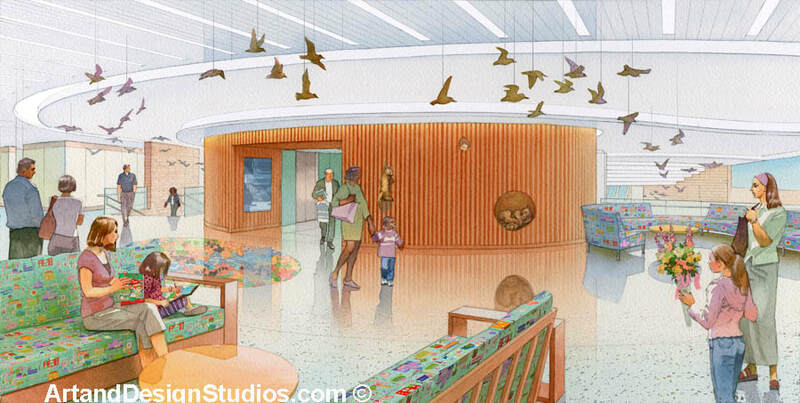 Lucile Packard Children's Hospital. 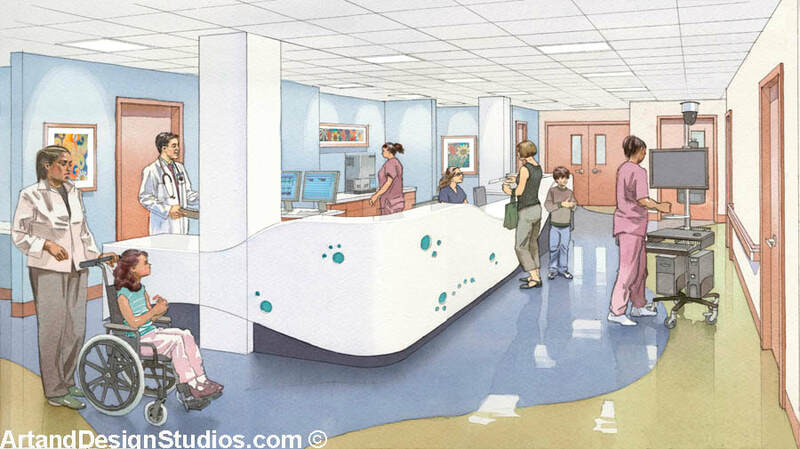 Rendering of a hospital. 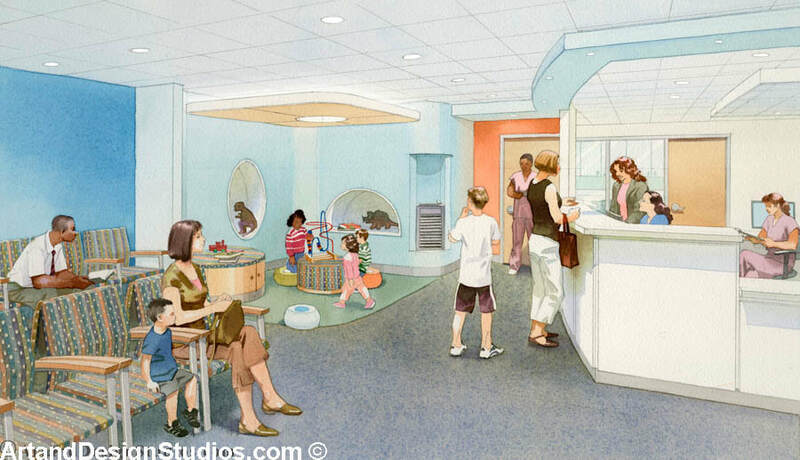 Cohen's Children's Medical Center.